ST. PETERSBURG, Fla. -- Minor League Baseball announced today that the Akron RubberDucks are the recipients of the 50th annual Larry MacPhail Award, symbolizing the top promotional effort in Minor League Baseball. The award has been presented since 1966 and is named after Hall of Famer Leland Stanford "Larry" MacPhail, Sr., who introduced innovations such as night baseball, airplane travel, pension plans and batting helmets. The Akron RubberDucks will receive their award at the Baseball Winter Meetings Banquet on Sunday, Dec. 6, at the Gaylord Opryland Resort & Convention Center in Nashville, Tennessee. Using innovative promotions and theme nights to attract and engage fans, the Akron RubberDucks welcomed 340,916 fans through the gates of Canal Park during the 2015 season. The RubberDucks used a variety of theme nights, in-game promotions and giveaways, specialty foods and fireworks shows to average more than 5,000 fans per game. "On behalf of the RubberDucks organization, we are humbled and ecstatic to be recognized as the top promotional team in all of Minor League Baseball," said Jim Pfander, Akron RubberDucks general manager. "It is a tremendous honor to receive this prestigious award that is so well-known throughout Minor League Baseball. The credit belongs to our owner, Ken Babby, with his vision of creating an unparalleled fan experience for affordable, family entertainment in Northeast Ohio, as well as the entire front office staff in Akron. Our staff's tireless efforts to bring Canal Park to life not only during 71 home games, but throughout the calendar year, are second to none." "The RubberDucks promotions are unique in that they not only increase attendance at Canal Park, but benefit the Akron community as well," said president & chief executive officer of Minor League Baseball, Pat O'Conner. "Their promotions are innovative and entertaining, and are in large part the reason they won this award. Congratulations to the Akron RubberDucks, and on behalf of Minor League Baseball, I commend them on an outstanding season." 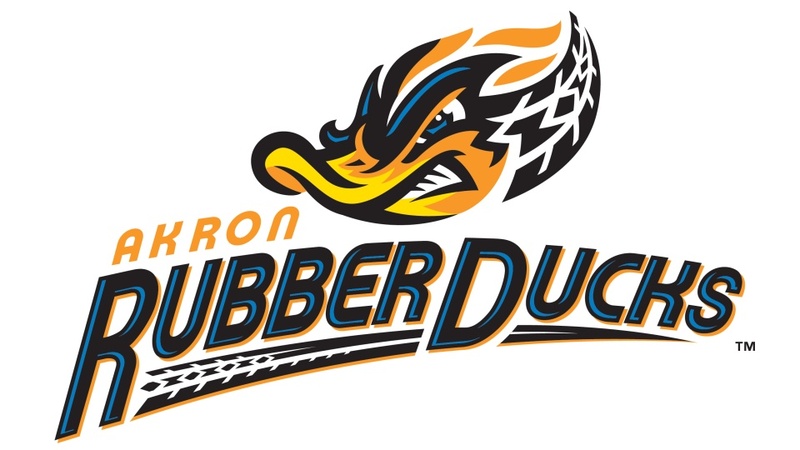 In addition to a strong promotional calendar, the Akron RubberDucks announced FirstEnergy as the first-ever presenting sponsor in franchise history. The sponsorship included many activation pieces and a co-branded logo. The co-branded logo was featured on the sleeves of staff shirts and the 2015 starting lineups were "powered by FirstEnergy." The July 3 fireworks show was the largest activation piece of the sponsorship, drawing 8,258 fans. "We are thrilled to bring this award to Akron for the first time and for a sixth time overall for the Eastern League in the 50-year history of this award," added Pfander. "Larry MacPhail was an incredible innovator who cared deeply about promoting baseball and making games memorable experiences for fans of all ages. To be associated with an award that bears his name is itself an honor."